Like Cath Kidston? Click here to view the entire range. A modern scent that captures fresh air, blending zesty grapefruit with green leaves, matcha tea and soft blossoms enhances with cool clean spices. The delicious scent of ripe apples and crisp green leaves softened with hints of apricot and freesia and notes of soft musk and woods. Energising notes of sun-ripened mandarin and bergamot infused with fresh blossoms and rich woods. The set is presented in beautifully produced packaging, decorated with a pink and soft white floral pattern in a sturdy gift box. This lovely set will be a welcome gift for ladies with taste of all ages, from teenagers to mothers and grandmothers, perfect for Christmas, birthdays, Mother’s Day and Valentine’s Day. 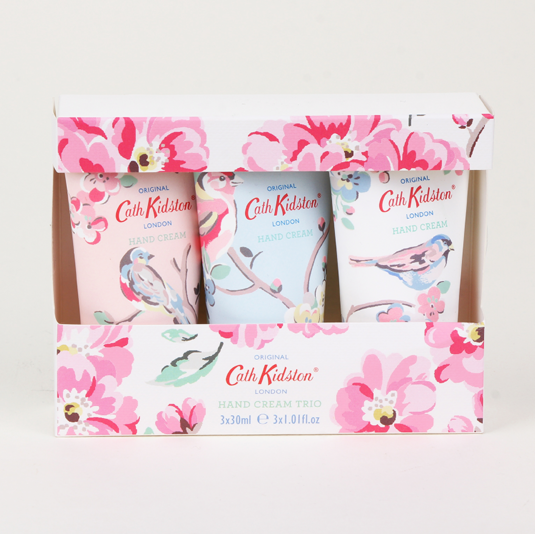 Cath Kidston is a respected British designer whose work combines modern values with nostalgic imagery. Inspired by vintage fabrics and pre-war life, she fits into the current trend for upcycling and home cooking. You probably recognised lots of Cath Kidston stuff, long before you knew anything about Cath Kidston. Maybe you still don’t know anything about her. Well, you’re in luck. Cath Kidston is a unique global lifestyle brand that brings to mind the best of traditional English country house design. By mixing the whimsical, the classic and the nostalgic, Cath Kidston creates vintage designs with a refreshing modern edge. The company was founded in 1993 when designer Cath Kidston opened a tiny shop in London's Holland Park. She began by selling the vintage fabrics, wallpapers and brightly-painted junk furniture she remembered fondly from her childhood. Her clever re-working of such traditional patterns meant that her shop soon became a cult success. And unlike many cult successes (and, indeed, cults), she then managed to reach out into the mainstream and ultimately become a household name. When the product base was expanding steadily she began to design her own prints and products, to be used on an extensive range of homewares as well as women's fashion and gadgets. Various products are manufactured under license by companies such as Churchill China and Fulton Umbrellas. 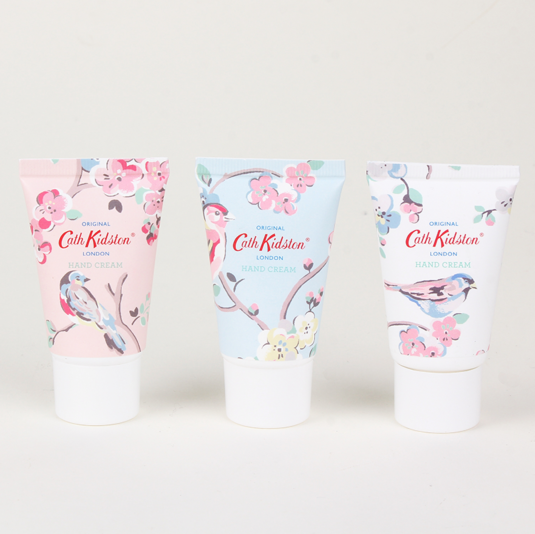 Such is the success of Cath Kidston, the brand continues to move into new areas, including stationery and toiletries, with no signs of its popularity wavering. Her now trademark designs appeal to all generations, and keep the spirit of Cath’s youth alive.